President Putin has told French presidential candidate Marine Le Pen in Moscow that Russia has no intentions to influence the French elections, but reserves the right to meet any French politicians it wishes. “We attach a lot of importance to our relations with France, trying to maintain smooth relations with both the acting power and the opposition representatives,” Putin said. "We don't want to influence in any way the events going on [in France], but reserve our right to communicate with all representatives of the country's political powers, as our partners do in Europe and in the US." Putin and National Front candidate Le Pen did not discuss financing the latter’s campaign, the Russian President's spokesman Dmitry Peskov told journalists at a press conference. Putin underlined the necessity to unite against terrorism, citing common threats for both Russia and France. Six Russian military men died and three others were injured in the militant attack on a National Guard base in the Chechen Republic. 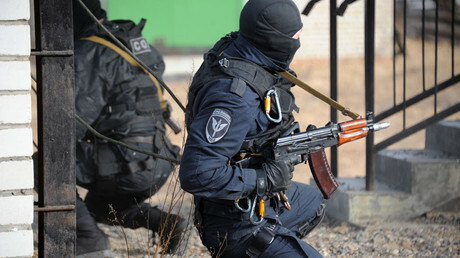 Six terrorists who attacked the base, 70km northwest of the Chechen capital, Grozny, were killed. 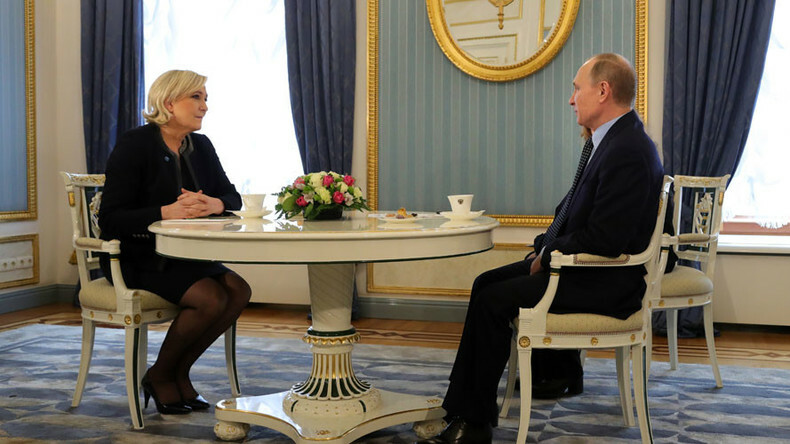 Before her meeting with Putin, Le Pen spoke to Russia's parliamentary speaker, Vyacheslav Volodin, and said she supported close cooperation between the two countries. “I am in favor of developing relations with Russia in the context of the long history that links our two countries. I've pleaded at every level for cooperation between our countries in the fight against terrorism,” she said as cited by AFP.